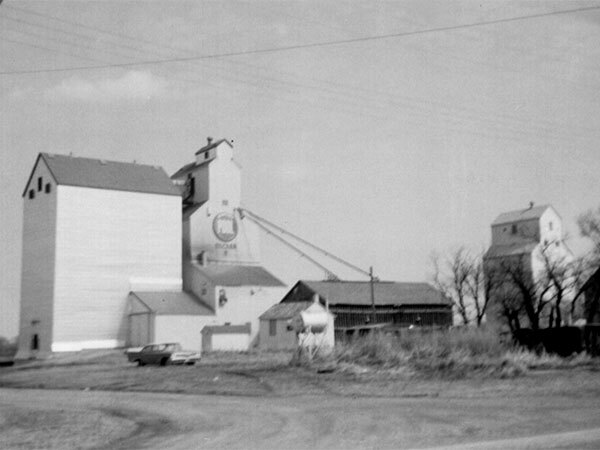 A wooden grain elevator in the village of Decker, on the CNR Rapid City Subdivision in what is now the Municipality of Hamiota, was built in 1915 by United Grain Growers. 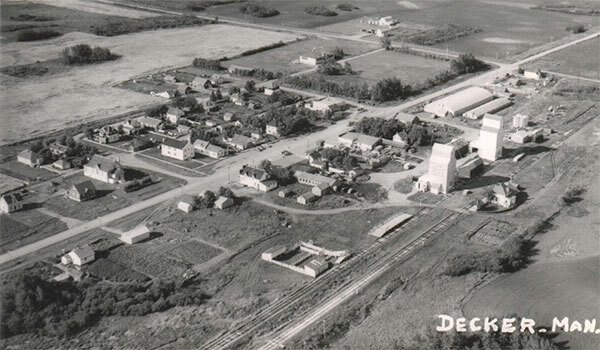 Sold to Manitoba Pool in 1928, it was operated by the same agent as an adjacent Bawlf Grain elevator after it was acquired by Pool in 1943. When the railway line was abandoned in 1978, both elevators closed in December 1978 and were demolished in February 1983. A15528-100, Manitoba Air Photo Library. We thank Blaine Little for providing additional information used here.